Assam Police Recruitment 2019 - Apply Online for 68 SI Posts in Assam Police, Guwahati, Assam. Online Applications are invited by Assam Police from 01 Feb 2019 to 28 Feb 2019 for 68 vacancies. The selection will be on the basis of written test, PET, PST etc. 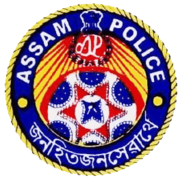 Eligible candidates may apply online at Assam Police's website (direct link is given below) from 01 Feb 2019 to 28 Feb 2019. Candidates log on to http://www.assampolice.gov.in/. Go to "Career and Recruitment" & Select the desired post. Click on “Register Form", if you are a new user.